COMPARE PRICES AND SERVICES INSTANTLY from leading regional and national carriers. You decide which carrier to use based on the criteria most important to you. SHIP YOUR FREIGHT EASILY by preparing your shipment and printing your shipping documents right from your web browser in minutes. TRACK AND MONITOR ALL YOUR SHIPMENTS from one screen with our integrated transportation management system. REAL PEOPLE, PERSONALIZED SERVICES. We are here to keep an eye on all your shipments, making sure your freight gets picked up and delivered on time. Our courteous and knowledgeable transportation specialists can be reached anytime by phone, fax, e-mail or live chat. IT'S FREE! 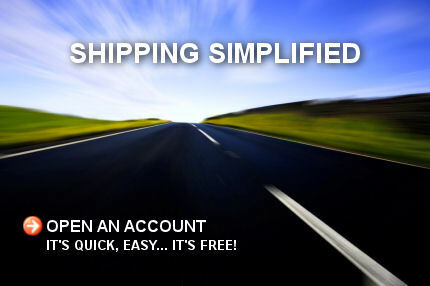 There is no charge or hidden fees to use eFREIGHT. Open an account today!